The Malaysian labour market faces challenges such as a gender disparity, heavy reliance on foreign workers and slow growth of human capital. The Khazanah Research Institute (KRI) suggests some ways to put Malaysia on the fast track. If 30 percent more women entered the Malaysian labour market, the country’s GDP would increase by upto 12 percent, according to a recent State of the Household study released by Khazanah Research Institute (KRI). 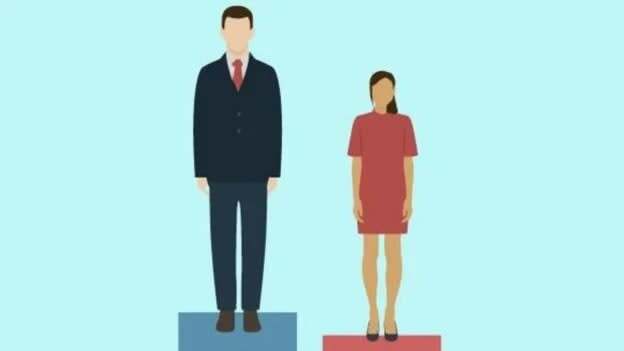 Gender inequality in the Malaysian labour market still remains a reality. Starting from lower participation in the workforce to higher unemployment, lower pay and fewer senior positions held by women, the labour market still remains heavily male-dominated. Women take up a major chunk of housework in Malaysia thus resulting in lower participation in the workforce. In 2017, 58 percent i.e. 2.8 million women opted out of the labor market in favor of housework. At the same time, only 3.2 percent i.e. 69,800 men remained out of the workforce in order to fulfill household chores. The number of self-employed workers has increased in Malaysia. However, the KRI’s findings suggest that there needs to be a middle ground between self-employment and mainstream job opportunities to ensure that women have long-term financial security. This is one of the several “structural challenges” mentioned in the study. An aging population is also a major challenge faced in Malaysia, and bridging the gender gap considerably within the next decade would go a long way in putting the country on a fast track towards economic development. The KRI’s study found that the number of foreign workers in Malaysia increased from 1.7 million in 2010 to 2.1 million by 2013. However, foreign workers and local Malaysians do not compete for jobs in the labor market. Immigration has led to an increase in employment opportunities in various sectors of the labor market. It is observed that Malaysians are moving into senior roles with better pay while foreign workers are occupying jobs at the bottom of the corporate food chain. The effect of foreign workers might not be immediately felt on the labour market. However, in the long run, heavier dependence on foreign workers might lead to slower adoption to technological advances. Such economies are likely to favour cheap labour over implementing tech that can automate certain tasks easily, according to the report. In order for Malaysia to grow from its agriculturally dependant roots and turn into an advanced high-income economy, it needs to increase its investment in research. At the moment, just 1.1 percent of GDP is dedicated towards research and development. To grow into a knowledge-based country, the focus area needs to shift towards innovations and providing a structural framework to help entrepreneurs succeed. Workers who have a tertiary education are higher in supply as compared to the demand in the Malaysian labour market. The demand is high for low-skilled workers as opposed to highly educated individuals. Malaysian students spend 12 years in school but it accounts only for 9 years worth of schooling based on the education quality. Creating a high-income country requires a human capital that continues to improve in terms of productivity, maintains a graph of growth and can rapidly adapt to changing technology. The need of the hour is to create a workforce which cannot be replaced by tech, rather is equipped to adapt and innovate with tech, as per the study. Enhanced human capital cannot exist in a vacuum. It needs the support of new infrastructure, internet services and scalable online management systems that are equipped to take on the rising demands of Malaysians.